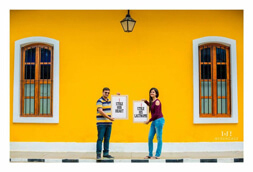 At the onset of the year 2017, when the entire Tamil Nadu was aflame with the effects of the protests and riots all around, a happy celebration of marriage, seemed like a far away reality. Amidst all that chaos, making arrangements for a wedding and executing it to perfection seemed like a surmounting challenge. But just how could we break the promise of making this day special for a lovely couple? The heavy protest by multitudes shook the entire state of Tamil Nadu. The youth were agitated and were demanding to remove the ban on Jallikattu – the traditional bull taming sport. Chennai being the prime city, faced major trouble as people took to roads in large numbers. The public transportation systems were shut down which made the situation even worse. People moved out with their private vehicles, which led to a massive jam. Though the suburban trains were active, people found it very difficult to reach the stations. They had to walk long distances leaving behind their vehicles at home or office to reach their destinations. Such dire were the circumstances! On 23rd January 2017, a wedding was set to take place, as fixed with one of our clients. And this was precisely the time when the intensity of the situation was at its peak. Hundreds and thousands of citizens had gathered at the Marina beach. The situation was so tense that people were facing hardship in trying to reach from one place to another. We had anticipated the chaos in advance and deduced solutions to make the wedding process smooth and efficient. The materials were transported to the wedding venue on 22nd January 2017 itself. As the dawn of the next day broke, we could visibly see a heavy traffic jam in the making. This could prove to be a huge hindrance to the execution of the wedding. However, the team never gave up, even in the toughest of circumstances and devised prudent strategies which led to the event being an enormous success. Facing difficulty in transportation, we had to deploy more staff at every location separately. The entire event was to be conducted at Hotel Taj Coromandel, Nungambakkam; while the marriage ceremony was scheduled to be held in a church which was 10Kms from the hotel. A team of two photographers was sent, one to the hotel and the other to the church to cover the entire event without any hassles. For the event to be conducted smoothly, we had to double our staff. Also, the client was updated with the traffic situation of every minute, making it easier for them to reach the venue on time. With every passing minute, the situation got worse. The tension heightened when the bride got stuck in the traffic only to be escorted later, thankfully, to the venue by foot. In addition to dealing with all these glitches, the regular work of decoration of the church and stage were being carried out simultaneously. Also, the arrangements for the reception, hosting and return gifts were looked into. Every precaution was taken to maintain the flow of events to the maximum satisfaction of the client. We at WedEngage understand how a well-planned event could create an ever-lasting memory in your mind. One’s wedding day is the starting of a beautiful phase, a day that one continues to reminisce about for the coming years. All we do is help make this day extremely special for our clients. Nothing gives us more pleasure than when our clients whole-heartedly appreciate our efforts and work. The entire set up, planning and management of the wedding were well apprehended by all. WedEngage assures you that every minute detail is looked after when we are working towards making your day special. With the help of experts, care is taken that we construct the best plans to carry out the event. From wedding designers to photographers, we provide you with the best. 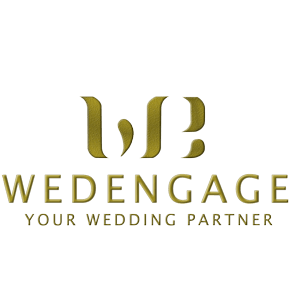 Let WedEngage be the ones that you start your beautiful journey of matrimony with, and you shall cherish it for years to come. 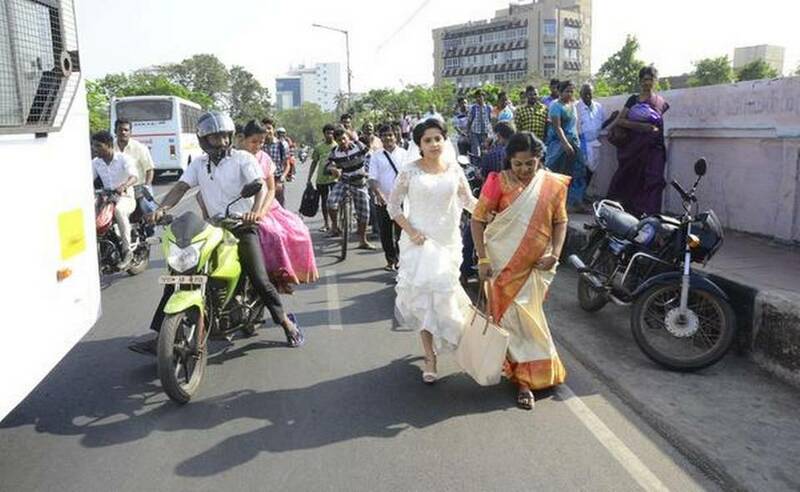 The bride was covered in a news article by the Hindu.